Earlier this week at the “GSC x COSPA x Bushi Road New Year Party” a new Black★Rock Shooter figure was announced and this time round it’s based on the anime that is scheduled to air in Spring 2010. 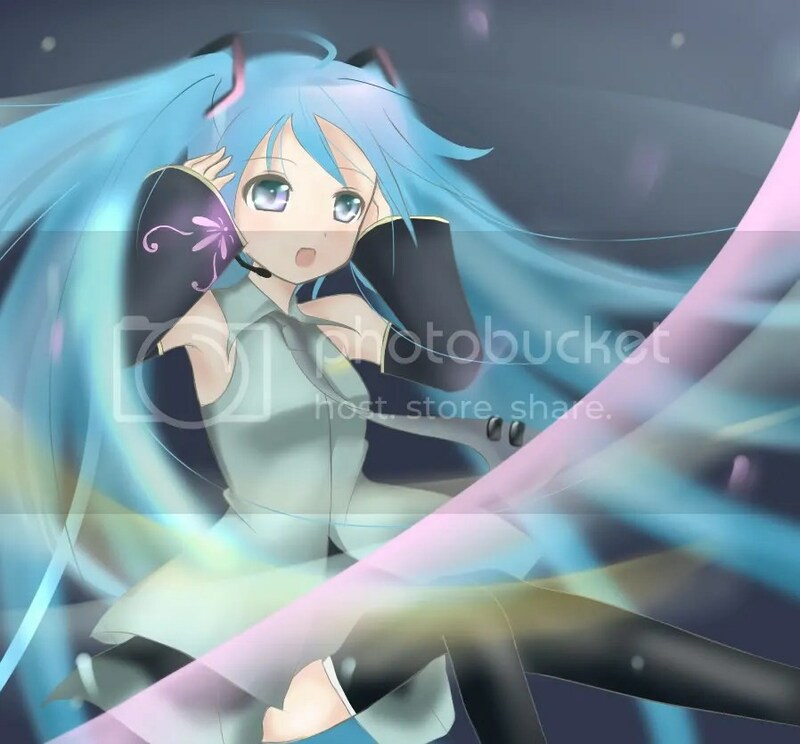 Following information from the Crypton blog, it seems Crypton has just started on an experimental project called “Project if…”, this concept will be different from the popular and successful CV (Character Vocal) series and hopefully something unique and special will be coming out of this. This post is just for you BRS fans. 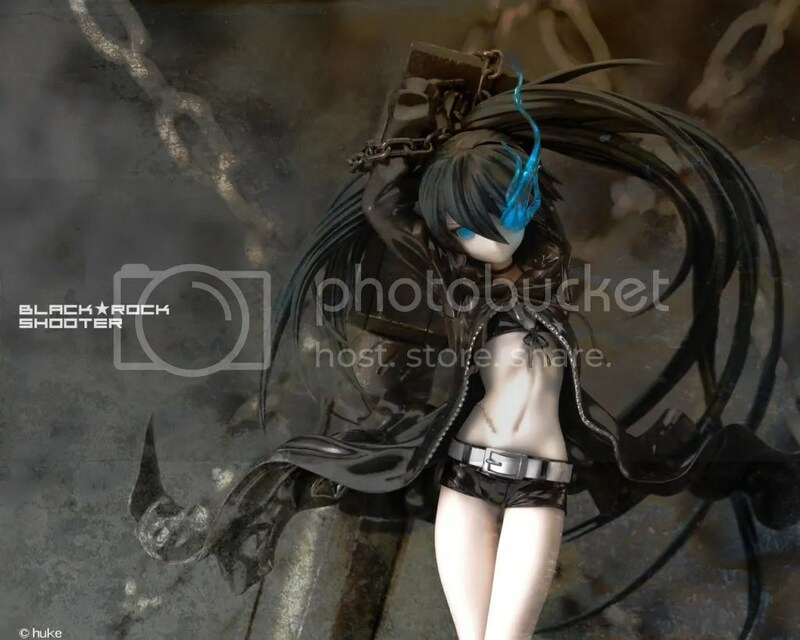 Earlier today the Black Rock Shooter main page has been updated with another new BRS wallpaper by huke and this time round, the image is based on the actual model of the 1/8 scale Black Rock Shooter PVC figure. 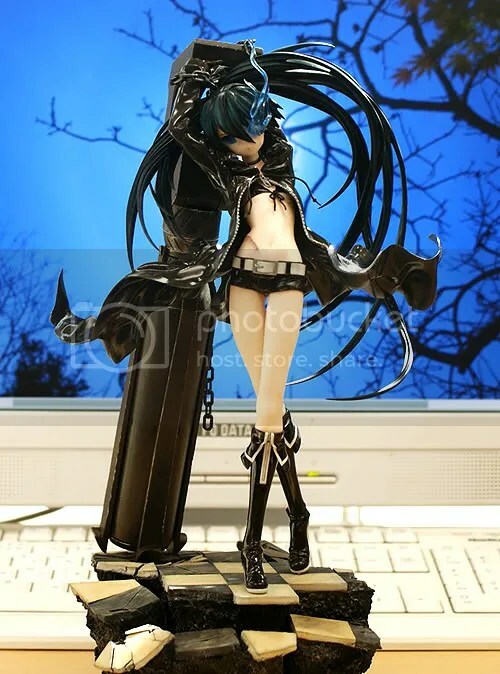 Once again, the BRS figure is simply awesome and I like the background effect of the wallpaper as well. Just click here to go to the main page and download the wallpaper.